Sony Xperia XZ4 is now in the news thanks to a leaked screen protector. The Xperia XZ4 is speculated to be the successor to the Xperia XZ3, and it now appears it may debut with an ultra-large display panel - something that's been tipped before. Images reportedly showing the screen protector of the Xperia XZ4 phone have appeared online and they indicate just how big the screen of the phone will be. 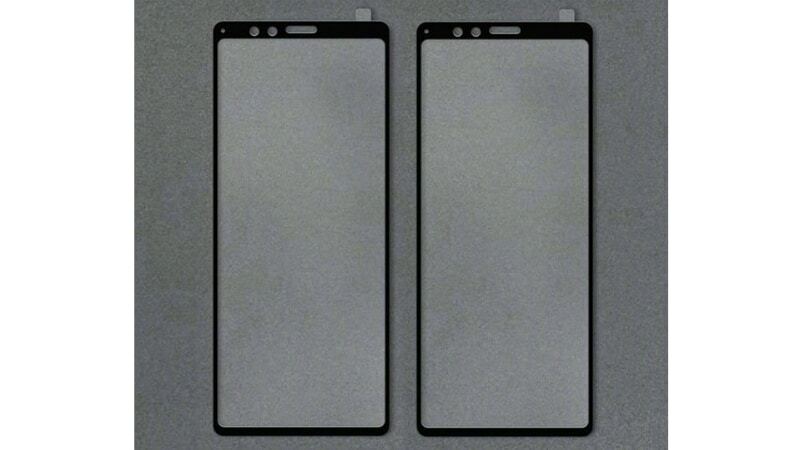 The screen protector suggests that the new Sony phone will be a little taller than the Samsung Galaxy Note 9 and Huawei Mate 20 Pro phones. Further, it can be seen that handset is missing a display notch, something that has become quite common nowadays. A couple of images purportedly showing the back of the Xperia XZ4 have also been leaked from China. The alleged screen protector of the Sony Xperia XZ4, which was leaked in a couple of images on Weibo, shows its oddly tall display panel. The screen protector also doesn't include any signs for a display notch to provide a nearly edge-to-edge, full-screen experience. However, it does confirm the presence of thin bezels. The absence of the display notch in the Xperia XZ4 confirms that the smartphone will come with an earpiece as well as its camera sensor and an LED notification light - all just on top of its screen – and very similar to the Samsung Galaxy Note 9.